Bullying seems like it has become an epidemic these days. I graduated high school in 2001. Not that long ago and from then until now it seems like this Bullying issue has become a trend amongst today’s youth. Back when I was in school we had “riding” sessions where we would talk mess about some one and crack jokes, but it never went to the extreme that we talked about a person so bad they wanted to kill themselves. There was nobody in my elementary, middle or high school who killed themselves over bullying. I even remember often times taken up for people who wouldn’t defend them selves. To me it doesn’t make you tough when you pick on someone scared of you, or somebody who will not fight back. To me this makes you a COWARD that you choose to prey on someone who is vulnerable. I talk to my kids all the time about Bullying just because it has become so relevant with today’s youth. They know not to let ANYONE touch them or continue to pick on them. They know they can come to me at any time, and let me know what’s going on. They also know if they go to their teacher and the situation is not handled when I come to the school there will be a problem. I know a lot of time teens are scared to go to their parents or feel as though they may not understand their situation. So they often try to deal with the situation them selves. Sometimes they feel like dealing with the situation is killing them selves. I want ALL of you youngsta’s out there to know YOUR LIFE IS VALUABLE, God gave you life and placed you on this Earth for a purpose. NEVER let somebody’s WORDS or ACTIONS dictate your life for you. People only have the power that you give them. 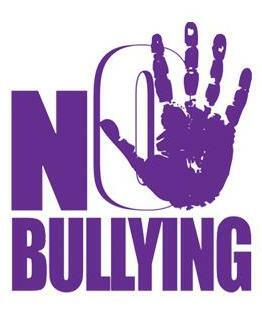 I tell you one thing about a Bully, Stand up to them just one time and I guarantee they will leave you alone. Bullies are truly weak, insecure individuals who pick on people to make themselves feel better. If you are having an issue with a Bully and need someone to talk to. Please email me @savingtheyouth@hotmail.com. I would be happy to speak with you, encourage you and give you advise on how to handle the situation. Just know I am here!! I love you and God loves you!! Posted in Youth Stars TipsTagged bully, bullying, facebook, fights, fit in, Help, instagram, mean, peer pressure, save the youth, saving youth, silly, stupid, teen commits sucide over bully, teens, tips, trending, trendy, twitter, ugly, youthBookmark the permalink.